'He's done his job, he's scored points, he's scored podiums, they've earned millions in terms of prize money, millions in terms of sponsorship, it's wrong that they haven't paid him. Pay up, look big, and stand by your deals'. If you watched the Abu Dhabi Grand Prix on TV last Sunday you may recognise these as being the words of Martin Brundle, and on the murky matter that has lingered in Enstone shadows for months, one that suddenly had a lamp swung over it in the course of last weekend. Just what had been eating the Kimi Raikkonen-Lotus relationship: that the team had paid its charge 'zero Euro the whole year'. And, you know what? I agree absolutely with Brundle. From what I could tell most others agreed also. Though there was the odd yelp to be heard to the effect that 'yeah, but Kimi's loaded' to my mind that point is utterly irrelevant, and thankfully such yelps seemed isolated. The bottom line is that Lotus willingly and solemnly entered a contract with Kimi Raikkonen with various promises and obligations to Kimi agreed to therein, and hasn't stuck to it. It should not be forgotten that employer-employee obligations, including those via signed contracts, work both ways. And I'm pretty sure that was Lotus in a boot-on-the-other-foot situation wherein one of its staff was not fulfilling its obligations to the team (e.g. by not turning up for work, or not doing their job properly) then Lotus would feel entirely justified in ditching them immediately. Same would go for a supplier to Lotus similarly not doing what it promised. 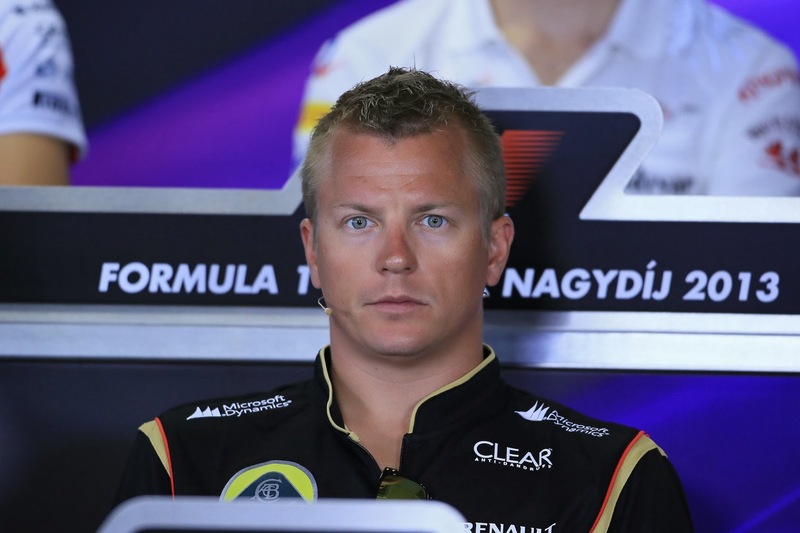 Therefore the team should count itself lucky that Kimi didn't choose to dump Lotus just as readily. I'm not a lawyer (if I was I'd be charging you for saying this - ho ho) and the devil's always in the detail in these things, but to my mind Lotus going this long without paying Kimi almost certainly amounts to a breach of contract, and therefore the contract is invalid. Given this it's hard to see how Kimi has any obligation to keep racing. Indeed, Eric Boullier appeared to admit as much in Abu Dhabi (though admittedly, for a few reasons - and despite his threats not to - it's in Kimi's interest to keep turning up). Of course, for Lotus there were a few mitigating circumstances. That it is to a large extent a payment-per-point deal, and Kimi has scored many more points than anticipated, is one. More broadly and pointedly, cost control remains a great unresolved issue in the contemporary sport, Martin Whitmarsh noting earlier in the year that seven teams - one assumes very much including Lotus - exist in 'survival mode' (Kimi apparently isn't the only driver not to have been paid this campaign). And that a team in thick of the fight for second place in the constructors' standings, one that has often been cited as an example of making the best of its resources, is clearly having such bother should really set off alarm bells throughout the paddock. Whether those alarm bells will be heeded is another matter of course - many teams instead have a tendency to act out the prisoner's dilemma at such moments: wherein certain players refuse to budge in the name of the greater good for fear of ceding short-term gains to rivals. Perhaps it's easy to say with the might of the Mercedes marque behind you (though Wolff ran Williams before his current posting) but still he's probably onto something. Whatever the temptation might be, spending only what you've earned doesn't seem like the worst principle to abide by. It would be one thing if the contract had stipulated that Kimi would be paid once the prize money was in hand at the end of the season. Clearly that's not the case, though, so it amounts to Lotus having hired a driver of a caliber they couldn't afford. I've seen people here and there arguing that Kimi should just be happy to be racing. Doesn't he love racing??? Clearly he does (he's been doing it for free all season), but that's beside the point. This is his profession, not his hobby, and he entered into a professional arrangement. Maybe people should take a look at how Ayrton Senna dealt with contracts. Does anyone question his love of racing? Thanks very much Robyn :) Agree with what you say, and you make a good point on Ayrton Senna's contracts, which were legendary in their length and complexity!